It’s a good question. And the answer takes us back to a paddling trip on the Yukon River in the summer of 2013. The Yukon Territory is one of my favorite places in the world. It is stunningly beautiful, there is abundant wildlife, and the people are among the nicest I have ever met. But in the summer of 2013, it wasn’t such a laid-back place. 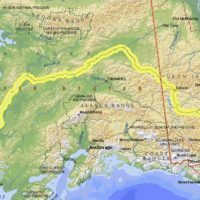 At the time my friend Mark Johnson and I started our 477-mile journey on the Teslin and Yukon Rivers, there were over 80 wildland fires burning in the southern portion of the Yukon alone. And in the middle of our route were the Carmacks fires, a group of three wildland fires on their way to burning over 47,000 acres of Canadian wilderness. We knew there were fires burning near there, but after being on the water for a week, we had no idea how big they had become. As we drew nearer to Eagle Rock, off the Campbell Highway, we saw the Mandana Lake fire burning over the mountain and down toward the water. Crews from all over western Canada were fighting the blaze, and numerous helicopters had joined in the effort as well. Plans were even in place to evacuate the town of Carmacks if need be. It’s hard to describe how intense and impressive a fire of that size can be. As we paddled past, we shot hundreds of photos of the maelstrom, and watched as tree after tree candled up, some very close to the water line as the timber had been “pre-heated” by the fire and embers rained down upon them. 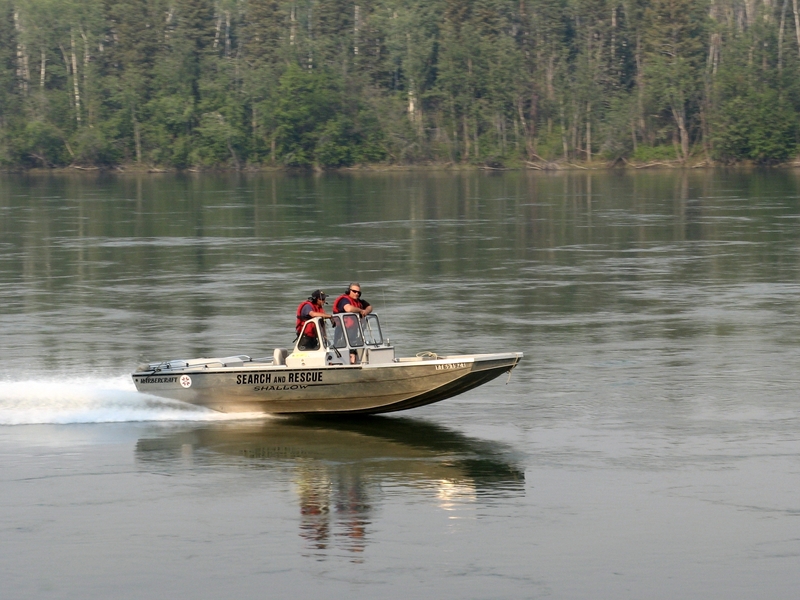 Whitehorse’s Search-and-Rescue crew blasted toward us in their high-speed boat as we paddled closer to the fire. I was afraid our journey was at an end. It turned out we were the lucky ones, though. They passed us by with a nod and a wave, then started pulling people off the river sometime shortly after we passed. The Royal Canadian Mounted Police handled things on terra firma, and would shut down the Campbell Highway and numerous campgrounds as well. Paddling through the smoke and haze of the fire was a surreal, and slightly eerie, experience. It was quiet. Really quiet. The only sounds we heard were the whirring of the choppers overhead, and the water splashing through strainers and against rocks on the river banks. 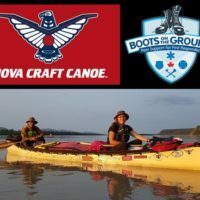 There was no visible wildlife, and it took 11 miles of paddling before we saw our first bird again. 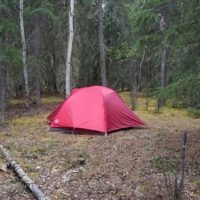 We were relieved to get to Carmacks, and wind shifts eventually would let us breathe easy again…though at some point around 1 a.m., the wind shifted back and smoke bore directly down on the Coal Mine Campground, our base of operations. You could hear everyone coughing in their tents. It was a long and uncomfortable night. We were thankful when we started paddling toward Five Finger Rapids the next day. And Carmacks was fortunate, too. Firefighters contained the blaze, and no evacuation was necessary. But it was touch and go for a bit. But here’s the thing that overshadowed it all: Our paddling trip started just 10 days after the Yarnell Hill Fire in Arizona, which killed 19 wildland firefighters. That tragedy, the worst for wildland firefighters since the 1930s, was being talked about by everyone on the river. Because of what was happening in our surroundings, it was immensely real to us and it felt somewhat odd to be enjoying time on the river while wildland firefighters were putting themselves on the line against the blaze. And so when I came back home, I wanted to figure out a way to support our first responders. It took a while to figure out what that was, and then a bit longer to get all of the pieces in order. 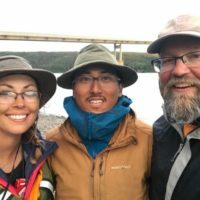 Last year, my wife and I started The Outdoor Kind, LLC, to raise funds for first responders in rural and wilderness areas, and to conduct educational outreach to prevent forest fires and other emergencies. 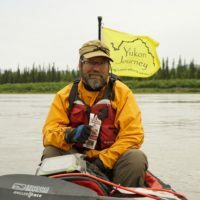 The Yukon Journey charity is a further outgrowth of that time on the river, and our desire to help those who do so much for us. We rightly thank our brave women and men in the armed forces for their service, and it’s just as proper to thank first responders for what they do each and every day. And so we’d like to say a big “thank you” to all first responders reading this blog. To members of the general public, be sure to thank your local first responders when you see them out and about, too. They deserve our thanks, and a whole lot more. Supporting OUR First RespondersIntroducing a “Yukon Journey”!